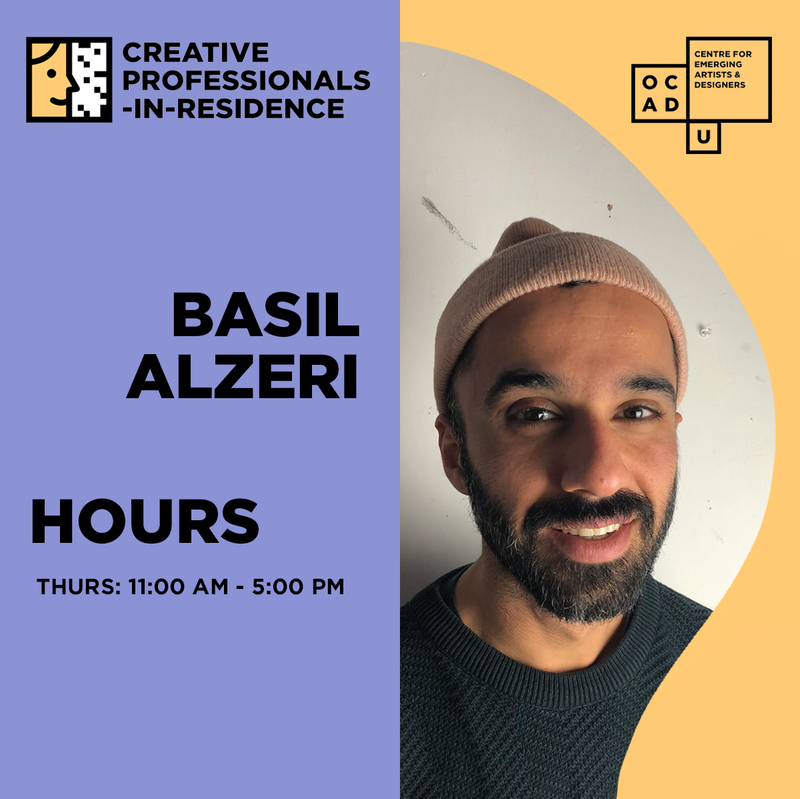 Basil AlZeri is a cross-disciplinary visual artist living and working between Toronto and Guelph, Canada. AlZeri's practice involves the intersection of art, education, and food, taking multiple forms, such as performance, interventions, gallery and public installation. AlZeri's work examines the socio-political dynamics of the family and its intersection with reproductive/unproductive labour, drawing on the necessities of everyday life and the (in)visibility of 'work' as sites of exploration. AlZeri's tries to facilitate a space for empathy through gestures of inclusivity and generosity. AlZeri has presented his work in Amman, Dubai, Halifax, Mexico City, Montreal, New York, Ottawa, Regina, Rome, Santiago, Tartu and Toronto. The new OCAD U Creative Professionals-In-Residence program is a mentorship initiative created to support the career success of current OCAD U students and recent alumni. The program sees invited professional guests, from a variety of art and design-related disciplines, present on a regularly scheduled basis over the course of the academic semester, in the new Rosalie Sharp Pavilion for Experiential Learning at 115 McCaul Street. We invite students to set up a casual chat or studio visit with our residents to talk about their projects, goals and questions. 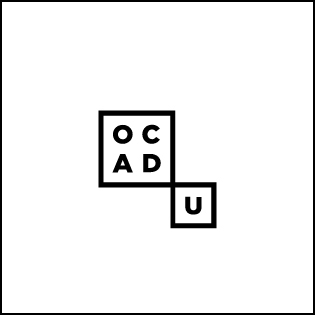 Visiting creative professionals are alumni and collaborators of OCAD University, invited to provide mentorship to current OCAD U students and recent alumni. This winter’s residents are Jessica Leong and Basil AlZeri. Under the "Events & Advising" tab select "Workshops & Advising" and RSVP for a date/timeslot with your resident of choice that fits your schedule. The timeslot you select will no longer be available to others once you choose it. 2019 Summer Bursary for International Students Application Now Available! 2019 Summer Bursary Application Now Available!